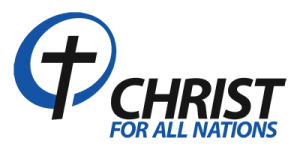 Welcome to Christ for all Nations Church (CFAN). We are happy you have visited this website and we hope you will join us for a Church service. Through contemporary music and practical Bible preaching, we present the timeless truths of the Word of God. You will find something for the whole family. Greeters are available to assist you with questions and directions. For our main Church service on Sundays, we are located at Christian Heritage Academy, just south of the intersection of Willow Road and Waukegan Road, and at the next stoplight you will have Christian Heritage Academy on the left, (east) side of the road. We start our children’s service after we finish the singing portion of our main service. We pray and the children go with our children’s leaders to have their own service right before the start of the the sermon. You can meet the pastor immediately following the service for questions and prayer. Also come by to learn more about the Church, and explore opportunities to get connected. Enjoy something to eat or drink: After the service you can get some refreshments and fellowship with people in the foyer. We look forward to meeting you. © 2019 Christ for All Nations.